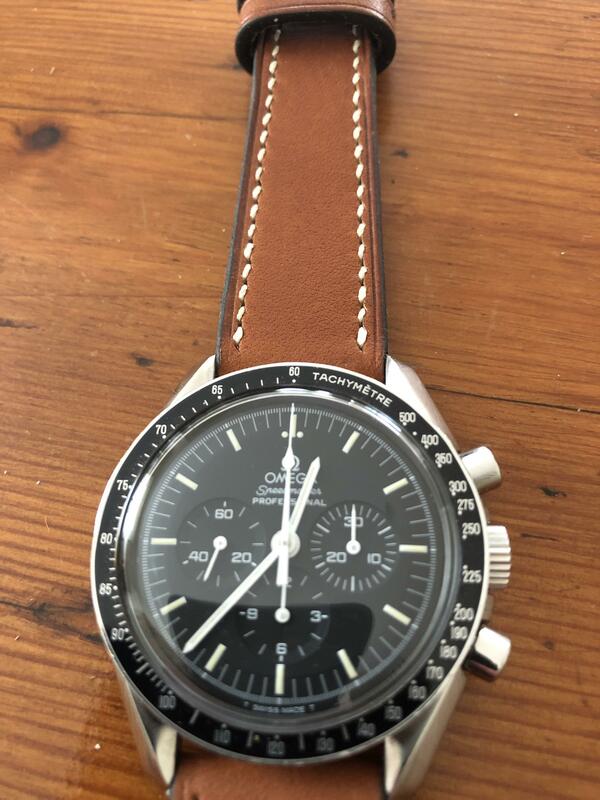 Omega Speedmaster Moonwatch reference 3950.50. The last model with Tritium dial and calibre 861. 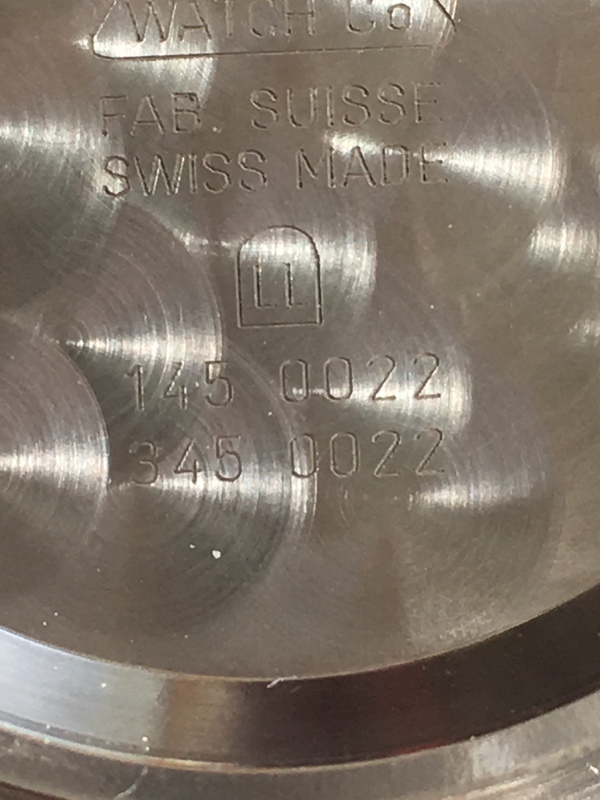 Serial 48352101 dates this watch to 1996. 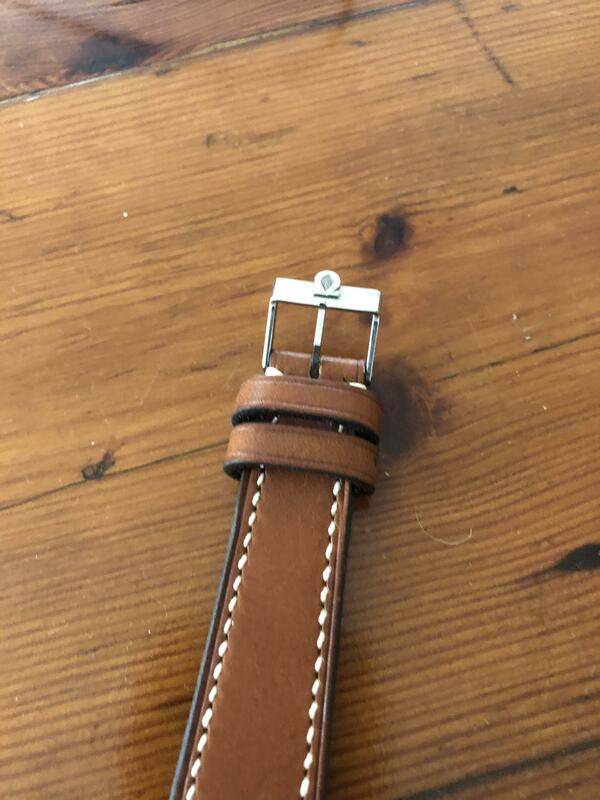 Just serviced this January by Lewiswatchco in Perth Australia and fitted with new mainspring and hairspring. Original Omega crown, pushers, crystal, dial and hands. The dial and hands are in excellent condition. The lume is beautifully creamy and fully intact. Dial is unmarked. At time of service the watch was pressure tested and is waterproof however, as with all vintage timepieces, it is best kept away from liquid. 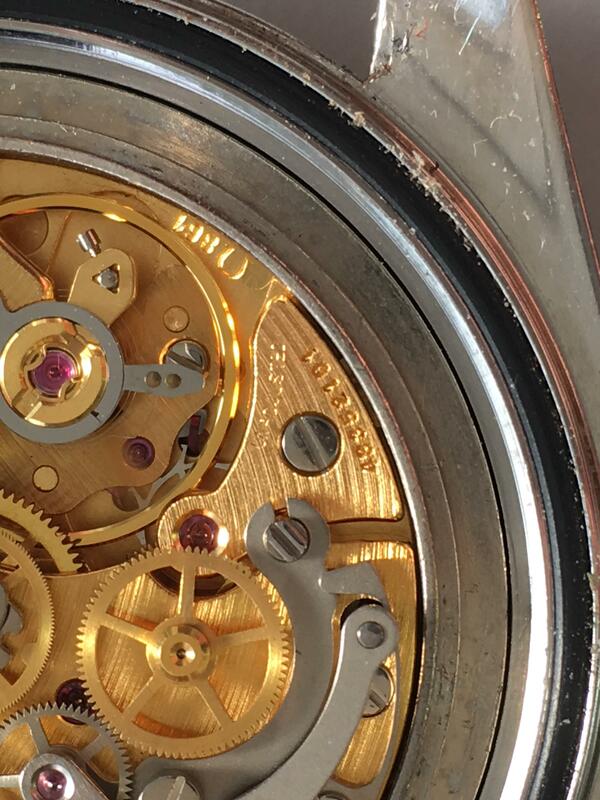 Please note case was not polished at service and there is a small ding on the top right hand lug. 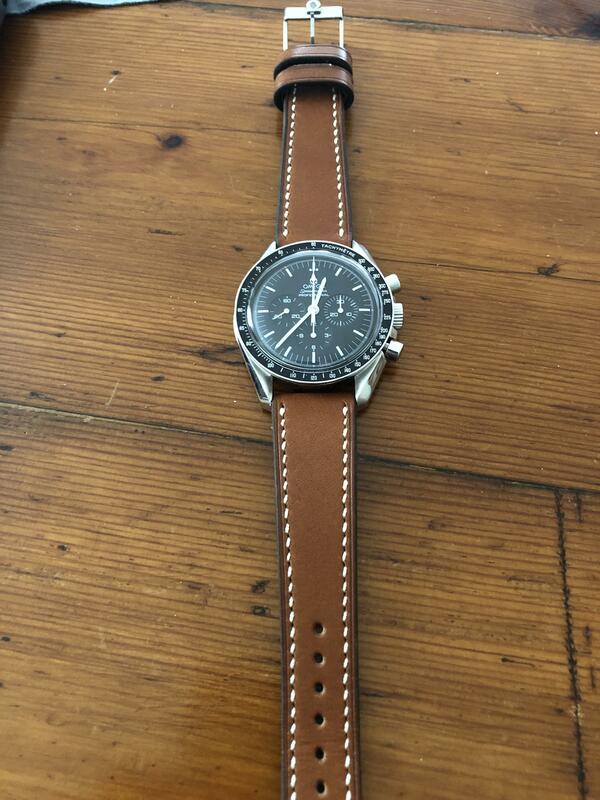 The Speedmaster is on a handmade Jones in Tokyo French tan leather strap with genuine Omega buckle. A nice opportunity to acquire one of the last Calibre 861 Speedys with the sought after Tritium dial that will only improve with age. 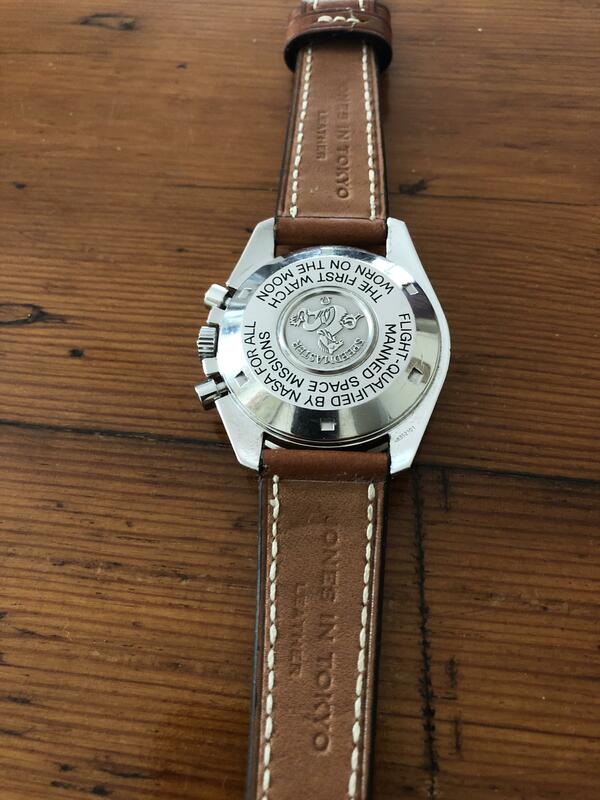 No box or papers but the Lewiswatchco service receipt comes with watch. Watch and I are in Australia. Asking $3500US including insured shipping. Thanks for looking and thanks to Jeff and CT for the space. Happy to answer any questions, If I can..